The Washington Redskins are off to a 2-1 start in the 2017 season and Kirk Cousins is coming off of playing one of the best games of his career. He earned NFC offensive player of the week honors going 25 for 30, with 365 passing yards and 3 touchdowns to go along with zero interceptions. Washington dominated the Raiders on both sides of the ball in picking up their second straight win 27-10. This week, a video was released by WUSA and sports anchor Darren Haynes, of Cousins taking a tour of what is in his locker. In the video, Cousins pointed out a Bible Verse that he keeps taped to the side of the wall. You can read the entire chapter from Matthew 6 that Kirk Cousins is referring to here. 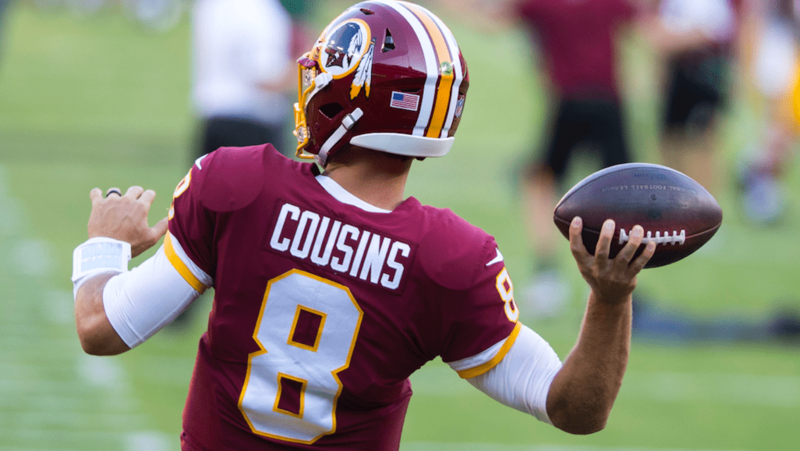 Cousins, who grew up the son of a Pastor, has always been outspoken about his faith and has said previously that it’s Jesus Christ that drives every decision he makes, including his future in the NFL. The Redskins travel to Kansas City to face the Chiefs in Week 4 on Monday Night Football.